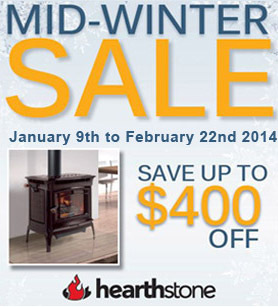 Hearthstone Mid-Winter Sale begins January 9th! Hearthstone Stove, Fireplace or Fireplace Insert. © 2019 The Fireplace Shop & Grill Center at West Sport. All Rights Reserved.